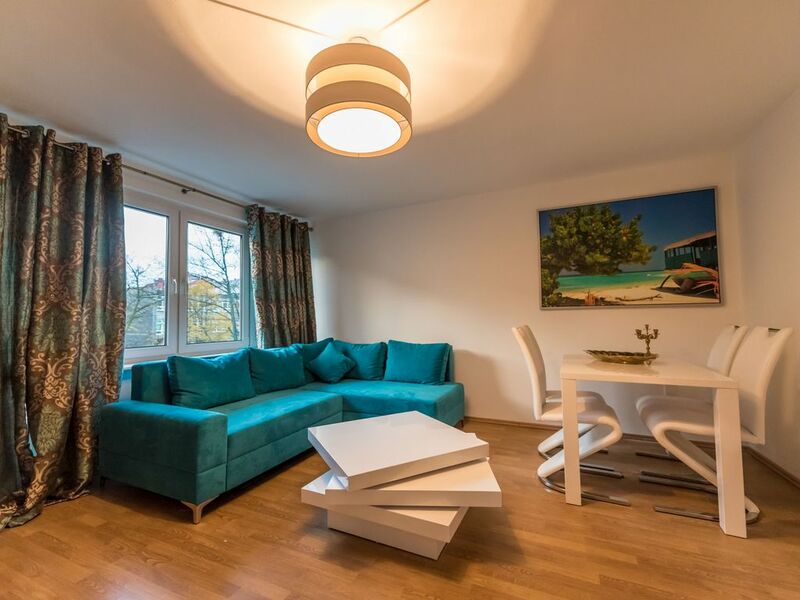 Just a 5-minute walk from the train station, right in the center of Szczecin, this spacious luxury apartment is equipped with brand-new modern furniture, a flat-screen TV and a well-equipped kitchen. Wi-Fi is available free of charge. On 45 sqm is the large living room, equipped with a TV wall, a desk and dining table. Furthermore, a bedroom with a double bed and a fireplace. The well-equipped kitchen has a microwave, fridge, coffee machine, toaster, oven, plates and cups. Towels and bed linen will of course be provided. Many bars, restaurants, clubs and cafes are nearby.